We sell the soaps we use day to day and we know they work. If you are looking for the right cleaner that works. You have found the right place. 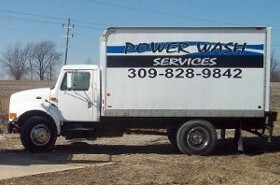 Please call (309)-827-3846 cleaner@powerwashservices.com to order.